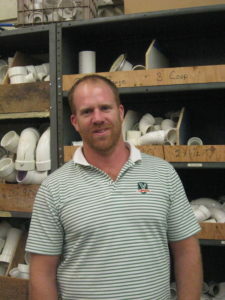 Capital Area Technical Center (CATC) is pleased to welcome our new Plumbing & Heating Program Instructor, Nick Smith. Nick actually was a graduate of CATC’s Plumbing & Heating program. He went on to work in the field for 6 years and obtained both his Master Plumbing and Master Heating licenses. He then ran his own business for 10 years. He has been on the job at CATC for 2 weeks and finds that his students remind him a lot of himself when he was their age. In addition to plumbing and heating skills, he hopes the students learn to have confidence in themselves and soft skills to be successful. Nick lives in Whitefield with his family.